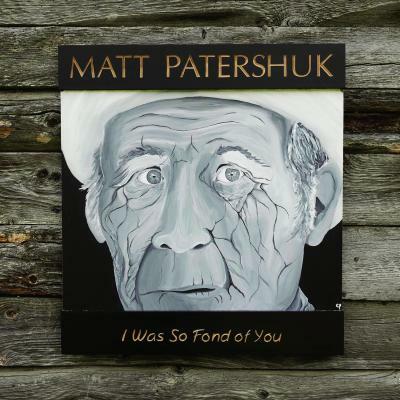 Matt Patershuk's I Was So Fond of You is not a happy album. Dedicated to his late sister (and with all proceeds of the album going to a few charities in her name,) it's a heartbreaking album of loss. It's not a pretty album, but it's absolutely beautiful. The two songs that deal with death and loss the most are "Harviestown" and "I Was So Fond of You." Playing in the style of old fashioned country-folk creates the perfect setting for these songs, but the album does have a bit more of an edge to it than your typical country or folk album. It reminds me a lot of John Doe or The Nightwatchman mixed with the rootsy sound of Joe Fletcher. I Was So Fond of You is a must listen for anyone reading this blog. I Was So Fond of You is available now at Black Hen Music. You can listen to the title track below, and for more information check out Matt Patershuk's website.